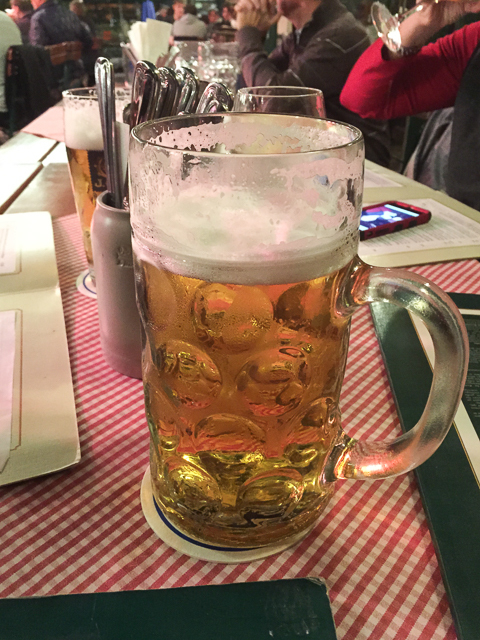 Off We Go – Munich Day 1 | Should We Go There? So it’s about 2 PM Monday afternoon and we just got to the hotel in Munich. We checked in and decided we needed to explore for food. 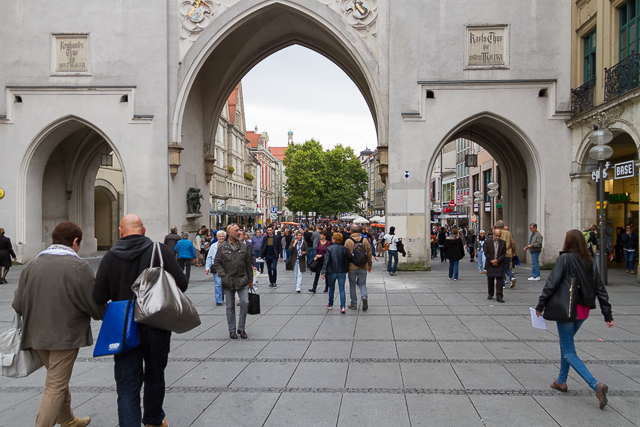 We learned that there was a pedestrian walkway, Marienplatz, about 10 minutes away with restaurants and stores. When we got there, we weren’t disappointed. 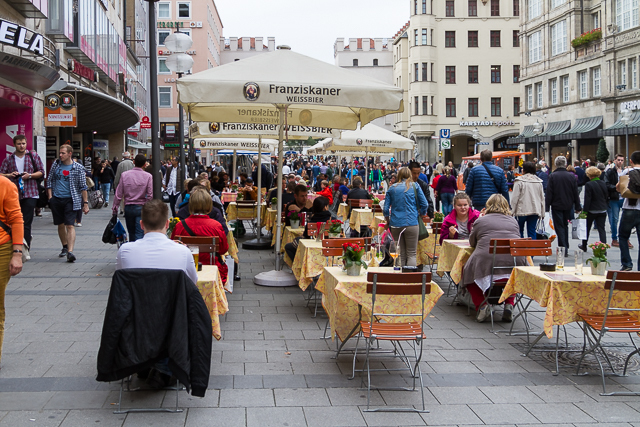 There were hundreds (I’m not kidding) of sidewalk shops, stores, and beer gardens associated with restaurants. This walk went on for blocks and branched off onto other streets. We even found a cathedral or two along the way. Check out the following images to see what I mean. If you like pretzels, you won’t be disappointed. 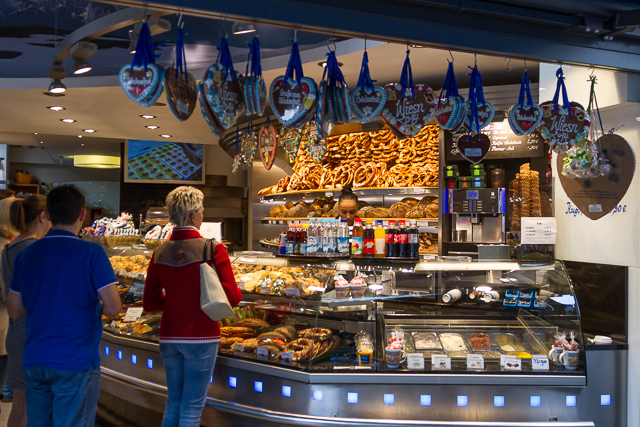 Pretzel making is apparently an art form that has been perfected all over Munich, no matter where you buy one. Pretzel shop on the pedestrian walk. 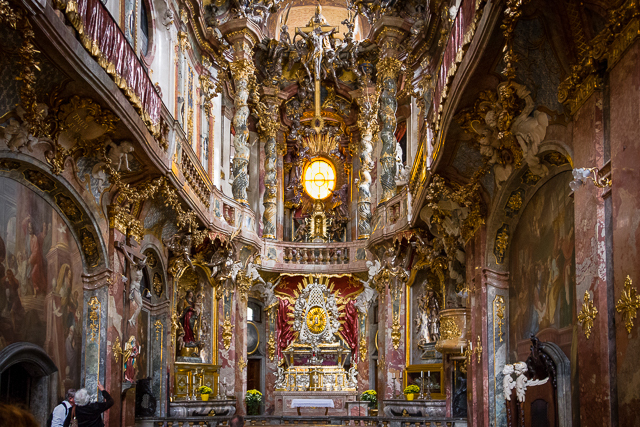 St Peters Cathedral is a very small yet very ornate cathedral as you can see. That evening the hotel desk person recommended a restaurant/ beer garden a few blocks away, so we headed out. 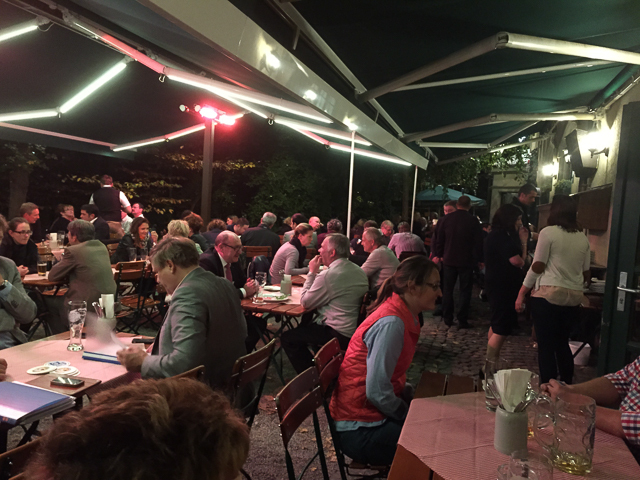 We found Augustiner- Keller Beer Garden. I didn’t realize how much power and influence the beer industry has here. Each eating establishment must advertise they brand of beer they offer because the beer companies are also sponsors of the establishment. In this case we were going to experience Augustiner beer. Augustiner is a very nice beer, very light and flavorful. We ate in one of the outside beer gardens, sitting at a table with another couple we didn’t know (the European way). Here are a couple of images. This was a very enjoyable experience with good Bavarian beer and German wine. The food was amazing. This is definitely a do again and highly recommended. If you would like to try Augustiner-Keller, here’s their information.